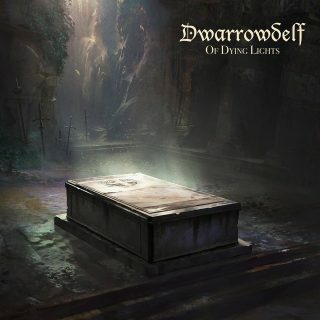 Dwarrowdelf : Of Dying Lights album download | Has it Leaked? I'm incredibly pleased and proud to announce the second Dwarrowdelf album, "Of Dying Lights"! The album will be released on 30th March 2019 via Flowing Downward; I'm in great company on this label, and I'm so glad to be working with them going forward. Some of the songs on this album started before "The Sons of Fëanor" was even released, but I feel that the album represents a major step forward for Dwarrowdelf, carving its own niche within the realm of epic atmospheric metal. Thematically, it loosely addresses the concept of light and darkness within the eras of Middle-Earth. Considering his amazing work on the first album, I commissioned Jordan Grimmer Art for the artwork, and he once again knocked it out the park, creating an exceptional piece that represents the theme of the album perfectly. I was also lucky enough to work with Mike Lamb (of Sojourner) in the production of the album, and I can't thank him enough for the amount of time he dedicated to ensuring that this album matched my creative vision. We even persuaded Chloe Bray (also of Sojourner) to contribute some vocals to track 3! Track 7 also features brilliant guest harsh vocals from Jack Reynolds (of Asira and Bykürius). The album will be released concurrently on CD and cassette, with Flowing Downward handling CDs and Fólkvangr Records once again providing the cassette edition. Special thanks to Mark from Fólkvangr for his tireless support of the band!